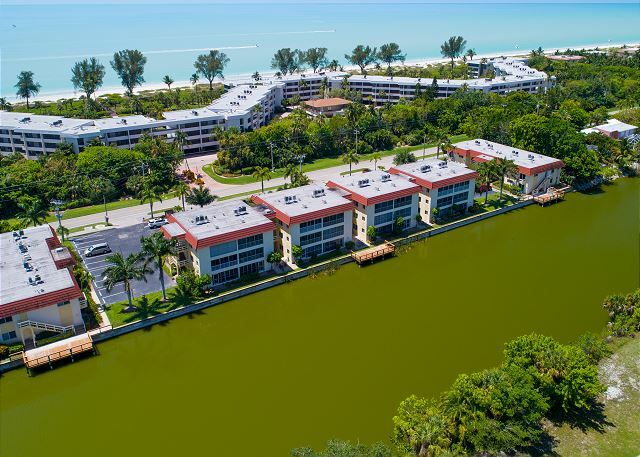 Spanish Cay A3 has everything you could want or need in your next Sanibel rental property. This stunning 1 bedroom, 1 bath ground level condo has all the luxuries of home and just a short walk to the private beach access! Welcome to your new island paradise! 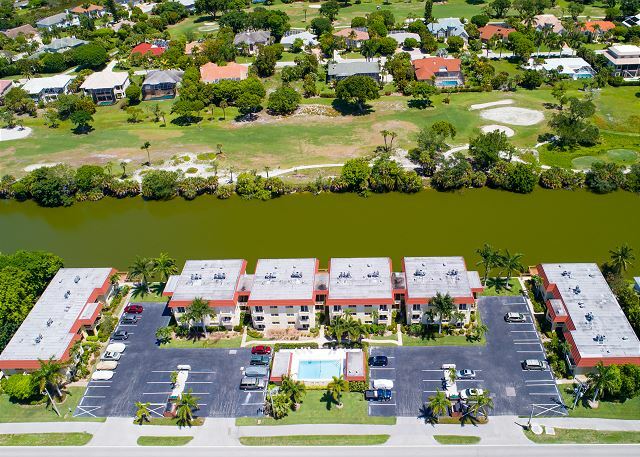 Spanish Cay is a smaller complex with only 40 units and offers a great location centrally located to the beach, shopping, restaurants and the miles of island-wide bike paths. The condo itself boasts a spacious 1 bedroom/1 bath open floor plan layout with a private lanai. The lanai porch is both screen and glass door enclosed which is a great option to have depending on the weather each day. With the glass lanai doors closed you can keep the interior sliding doors open for added square footage. The kitchen is fully equipped with the comfort and convenience of home with all major appliances and necessary cookware, dishes, and utensils needed to easily whip up a favorite home-cooked meal! The bedroom offers a King-sized bed, attached bathroom, and direct access to the lanai. Don't miss out on this great opportunity to spend your next Sanibel vacation in the condo of your dreams! Condo amenities include: 1 King bed & 1 Queen pull-out sleeper sofa (sleeps 4), 2 TV's, 2 DVD players, free cable & WIFI & HBO available, heated shared community pool, in suite washer & dryer, fully equipped kitchen. No Pets allowed. Bed linens and Bath towels included. This unit comes stocked with beach chairs, beach towels and an umbrella. Review by Jan M L.
SBL was very kind, leaving us sweet gifts upon arrival. The condo was well equipped, easy to prepare meals in the kitchen. The bed and living room furniture were very comfortable. Nice decor. Thank you so much for your review of Spanish Cay A3! We are so happy you had an enjoyable stay with us. We hope to see you again in the future! The rental was clean, well-decorated, well-maintained, well-supplied, and comfortable. Kitchen was very well equipped. The staff at SBL was vey helpful when we had a problem with not knowing how to work the TV and with any other questions we had. We enjoyed the beach - walking for exercise and looking for unusual shells. We enjoyed our time there and booked the same two weeks for next year. Thank you so much for leaving this review! We are so glad you enjoyed your stay and can't wait to welcome you back next year! Property was a longer walk to beach access than we expected and there was no information on the location; fortunately we found an owner of a nearby unit. Previous tenant had changed password and internet access without notifying rental company.View from Lanai was to next door garage after hurricane Irma damaged vegetation. No-seeums were a problem on the porch if you opened the screens. Condo did not get any sun during the day and front outer front door would not stay open on a windy day and we did not find a door stop to hold it open. Hi Mr. Newmark, thank you for your feedback. We appreciate it and will definitely address these concerns. Thank you so much for staying and we hope you will join us in the future.